I’ve spent a lot of time over the last several years thinking, writing, and speaking about ebooks [see also: Jason Griffey, Bobbi Newman]. 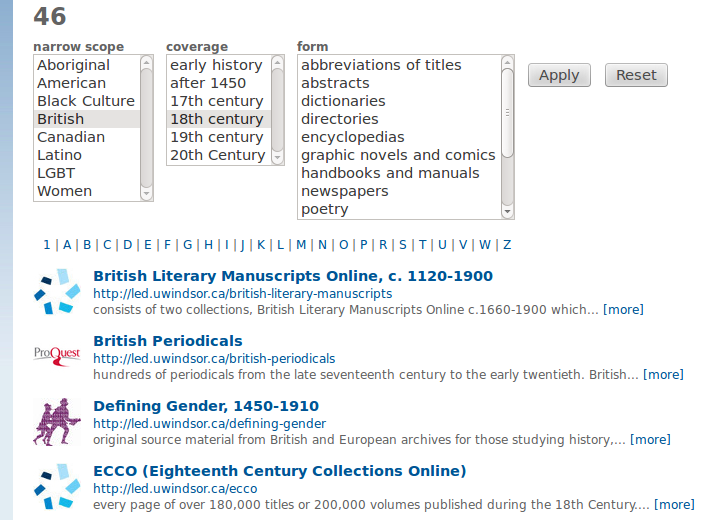 And I still agree with the notion that unless ebook publishing and distribution changes, libraries are still screwed. So let's change things. Here are three things *you* can do. Sign this petition asking publishers to lend ebooks to libraries. While you wait for the petition to hit 10K and then for publishers to be moved by this overture, you can do the next two things. The Open Library/Internet Archive not only provides millions of free public domain ebooks, they also lend out ebooks from a set of 20th century works. They work with willing publishers to lend ebooks using a "traditional model" of one book being lent to one person at a time for up to two weeks. If your reader is in the IP range of a registered library, all they have to do is create an Open Library account, and then they can effortlessly borrow books from Open Library without any library intervention. 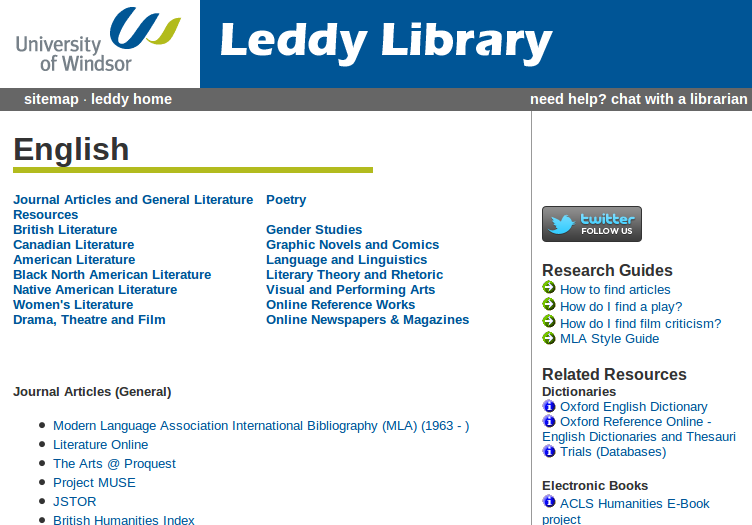 And that's how I pitched it when I talked to with my Library Administration about registering The Leddy Library with The Open Library: willing publishers, no intervention required by the library (although we could do some interesting integration with our OPAC down the road if we wanted to) and our readers will another option if they want reading material for their Nook or whathaveyou. So, I got the okay and I registered our library. Because of that registration, I received a longer form in my inbox that I then filled out. I sent that form and one book donation to the Internet Archive. 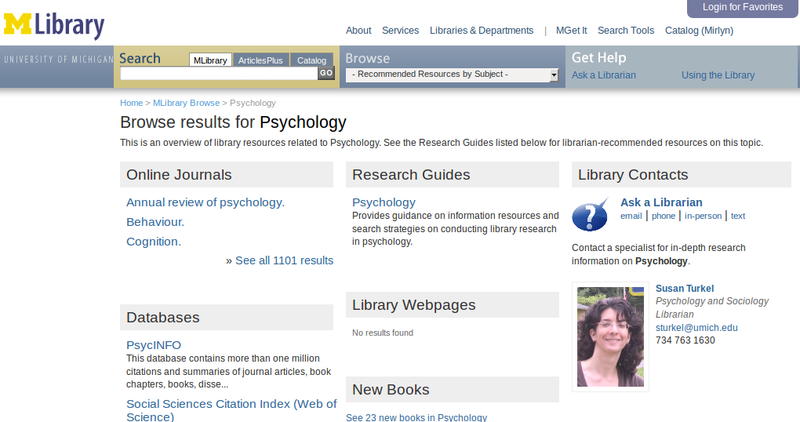 A few short weeks later, we now can offer ebooks that can be read online and offline. You can too. I don't pretend I know what the shape of the ebook landscape will be in the future but I do know what I like in the present. As such, I'm an enthusiastic supporter of unglue.it (if you are unfamiliar with the venture, Andy Woodworth has just written a good description of the project). I've been following the five unglueit campaigns with interest and while it has been good to see the number of individuals who have stepped forward to personally invest in a future where ebooks are available to everyone *and* publishers and authors are compensated, I was a little concerned that I hadn't seen any libraries make a pledge to support this future. So a couple of weeks ago, I made a brief presentation to the Leddy Library Information Services Department meeting and asked my colleagues if anyone had any concerns if I made a pledge on behalf of my collection responsibility (I buy books from the library's "General Books" fund). 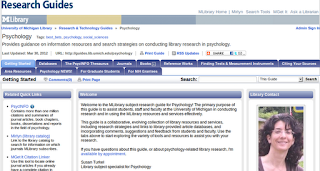 Hearing none, I checked with my Library Administration who recognized this as an effort that was aligned with our Open Access efforts, and said that I could try this out as a pilot. Yesterday I sat with our coordinator who is in charge of the logistics of monograph ordering and we made an unglueit account together. We then associated that account with an already existing Amazon account, and made a $25 pledge. The whole thing took about 5 minutes, tops. Personally, it is difficult to think of less risky experiment for an organization. If a book's campaign doesn't go through, there is no cost to the library and regardless of a campaign's outcome there is absolutely no obligation to do anything after making a single pledge. 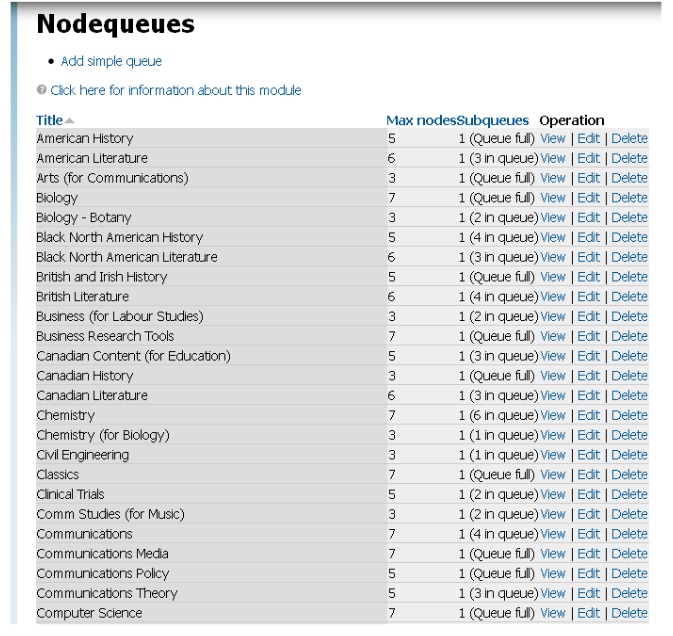 One can link to the unglue'd book on the Open Library in one's OPAC or one can take a copy and host it locally. Or the library can do nothing at all in knowing that the book is freely available online and readers will be able to find it using their own devices. 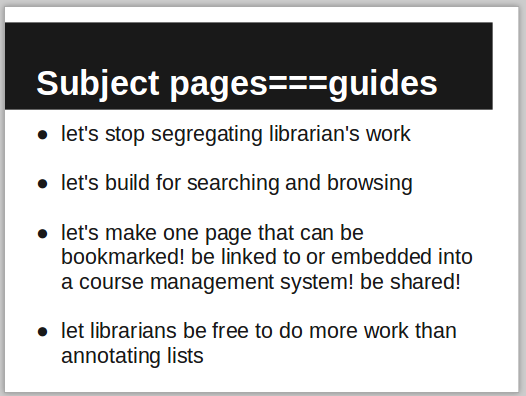 If I would very much like to see more libraries (as opposed to librarians) make pledges on unglue.it. As such, I will increase my own personal pledge to unglue this work by $25 as soon as I see another library making a pledge. And I hope it's the library that you work for. Libraries are the result of collective action. Libraries are loosely associated and widely distributed. When we coordinate ourselves independently to achieve common goals we are very powerful. Maybe the examples of collective action I have given above aren't the best examples of what we can achieve when we work together but I believe that even if they aren't, they can be good practice to get us ready for great work to come. "My god, it's filled with lists!" I gave a couple talks at last week's code4lib north festivities. These are my slides with some post-delivery notes from my "five minute" contribution. Last year at code4lib north, I presented Art Rhyno's work on Jamun: the $100 Discovery Layer. 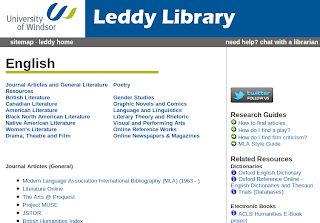 This year, I gave a sneak peak of the Leddy Library's new website (which is frantically being built in Drupal 7 for a looming summer deadline) that will hopefully integrate his work eventually. But my talk wasn't a tour of the site; it was the examination of one particular design problem that our site was trying to solve. 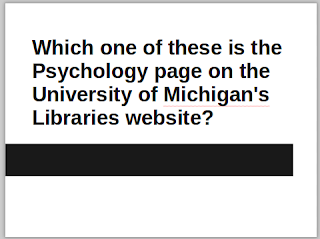 At this point I mentioned that I wasn't picking on the University of Michigan because I think they do bad work - I was using them as an example because I think they do great library web work. 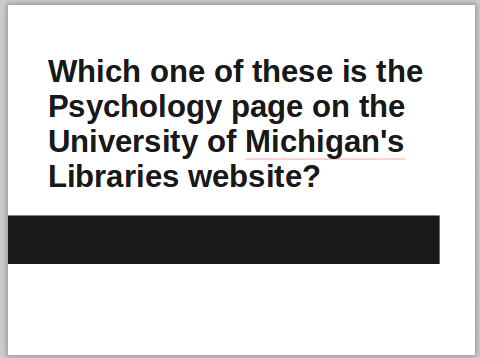 I asked the question again, "Which one of these is the University of Michigan's Libraries Psychology page?" Instead of answering the question, I barrelled straight to my recommendation: libraries should merge library subject guides into library subject pages so there are only two primary ways to explore subjects: by searching and by browsing. 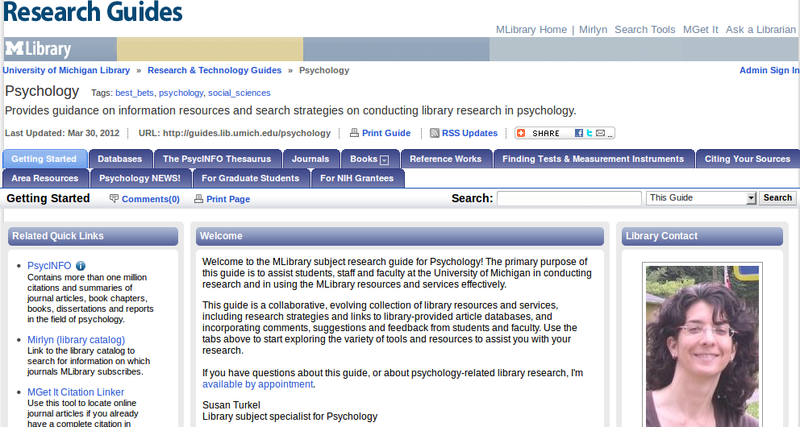 Then I put a slide up of one of our existing library subject pages that are hand-coded and maintained manually in Lotus Notes, links and texts and all. [Also some Drupalspeak: the slide above has a title of "46" because I haven't figured out how to turn a taxonomy ID to a taxonomy term in the title field of a contextual filter view.... without bringing in the context of taxonomy terms because when I do so, it that causes the view to bring in duplicate items: ones that match the taxonomy ID of 46 and the same items again because they matches the taxonomy term of "English". If you know how to get around this, I'd very much appreciate if you could please let me know! 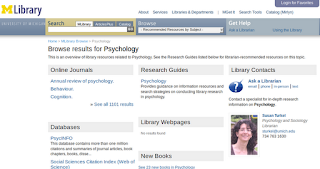 Our web design seeks to merge 'LibGuide-like' customization with one centrally maintained e-resource database. 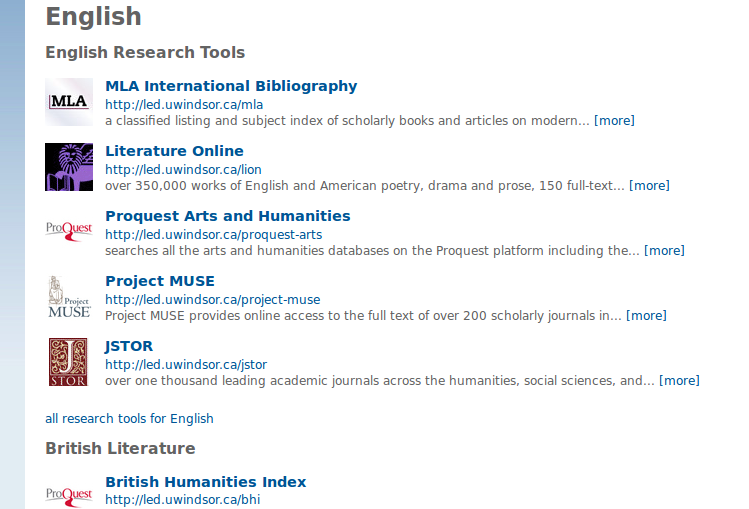 Our set-up allows us to create many smaller lists of e-resources from our existing master list of over 300 e-resources. 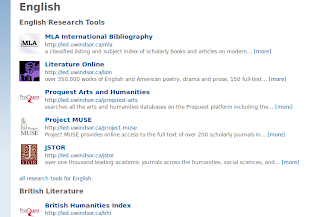 We can do this because of nodesqueue module which allows, for example, the English liaison librarian to make a top five list of Victorian literature resources while also the History liaison librarian to make a similar but differently sorted list of Victorian historical sources, using similar list elements (this five minute screencast I created some months ago illustrates exactly how). 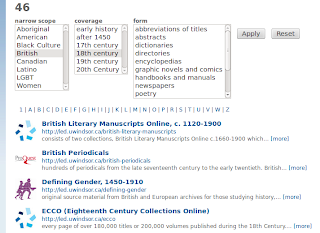 Regardless of how your library website is structured, I think we can all agree that our librarians can provide much better research resources than re-creating existing lists of e-resources and merely adding one-line annotations. The title of my talk is an allusion to the movie 2001: A Space Odyssey, specifically at the end of the movie in which we learn that the monolith is filled with stars and a gateway to elsewhere. 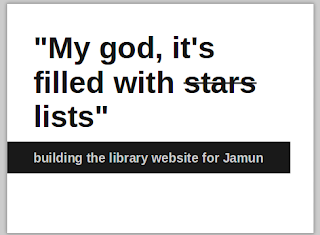 If we want our library websites to transcend being a dark, foreboding mass, we need to fill them stars. Barring that, we should fill them with lists. Some weeks ago, I was part of a panel dedicated to "Scholarly Communications and Digital Technologies" at my university's annual Campus Technology Day. My colleague Dave Johnson gave an introduction to the ideas behind Open Access while my other colleague (and Associate Dean of the Library) Joan Dalton described some of the local efforts that our library is engaged in that support Open Access work. My contribution to the panel was to introduce the audience to The Creative Commons. When I first started crafting my slides for the event, I had this idea that I was going to create a presentation made exclusively from the unaltered slides from other people's presentations dedicated to the Creative Commons (and in the Creative Commons, of course) but I was fast approaching my deadline and wasn't able to craft a tight and cohesive enough presentation from the slides that I had found. So I made re-use of some of Karin Dalziel's slides (thank you Karin) and added my own screenshots and text to illustrate the rest of the presentation. I started my talk by introducing The Creative Commons as something that could be useful to anyone in the audience, regardless of whether they were an educator, a student, a technologist, or writer, musician or artist. I gave the briefest of histories of the Creative Commons and that history lesson led to a short field guide to the various types of Creative Commons licences that exist. 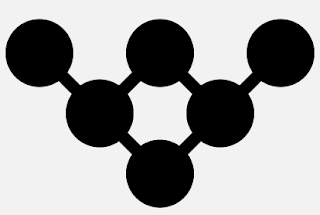 That was followed by a two-stop tour of where one can find Creative Commons work. I then added a caveat that while Creative Commons is great for most works, it might not be so good for things like data which some folk think need a altogether different kind of license. I also demonstrated that I wasn't a completely uncritical person as I presented a gentle rebuke of the Creative Commons license framework for being a little too complicated. I then ended my talk with the claim that Creative Commons is still pretty great when obscurity is a bigger threat than piracy - which is the case for most of us. After my talk was done, I thought I had given a good presentation. That is, until moments later when two comments from the audience made me realize that perhaps I had emphasized the wrong ideas in my talk. The first comment was from a professor who said that that she found the Creative Commons very interesting but very different from what she normally tells her students, which is "don't copy". At that moment, I realized that I should have spent more time talking about attribution because clearly this idea had gotten lost. Luckily Joan rescued me by giving a very good answer that made it very clear that copying in this context did not mean plagiarism because Creative Commons work requires attribution and of course, we at the library encourage the attribution of sources. The second comment from the audience may have been intentionally flippant; the comment came from a man who said that my presentation reminded him of a book that he, himself, had stolen from a library years ago... a book called Steal This Book. My response to this comment was not exactly measured. I told him, "No. They are not the same at all. Copying is not stealing." In fact, I added that Nina Paley has made a very nice video that puts this very point into song: if have a book and I copy that book, then we both have books, and how is that theft? Yikes. What a way to end my talk. Of course I meant to say, "if I have a book that was placed in the Creative Commons or was in Public Domain and I copy that book..." but I didn't. And I didn't get a chance to correct myself because everyone's time was up the audience had to leave to move on to their next session. Which is one reason why I am writing this post. I am also writing this all down for all for those of you who might be making your own upcoming presentation on the Creative Commons (and thus have stumbled upon this post). I want to remind you to spend time some time talking about attribution and watch out 'cause there are many people who have associated the word copying with something bad. Copying is an act of love. Please copy and share. I'm fond of This is my jam because it's simple and it works. Once a week you pick an ear-worm that's been consuming you and if your friends join, once a week you have a cool playlist of songs. It's an instant mix-tape. It works well, I think, because it asks only a small commitment of time. One song per week and it's a song that you can control. Contrast this experience with rdio - an online music subscription service that offers no ability to keep one's listening habits private. Only those who are confident in their musical tastes (or like me, and are mostly indifferent to what others think about the music I enjoy) will sign up to rdio. Choosing one's song is a fun exercise for this is my jam. Sure, one could get caught up on what impression one will make by broadcasting their choice, but that's makes the exercise an interesting one. Which is why I was thinking about the differences between picking out one's weekly jam, and now ubiquitous MUST READs from our friends and contacts. I no longer follow posts and messages that demand that they are to be read this way. And I started to wonder, why was this. There's a temptation to prescribe reading as a means to convince others of a particular belief one holds. If I can only get you to read about the melting icecaps, maybe you will finally be convinced to act against global climate change. There are the posts that you can sometimes feel obliged to pass on because you must a bad person if you let crimes against humanity go unrecognized (e.g. you MUST READ this about child soldiers in the Congo!!!). Anyways, my point is that we want to control what we share because it's so closely linked to how we want other people to see who we are. Maybe you had friends, like mine, who didn't realize that their Washington Post Facebook app was telling the world they were reading about a particular celebrity's diet and other more tawdry pieces. No one wants the automatic sharing of our online reading (I guess, other than this guy). Reading has always had an aspirational aspect to it. People buy books that they mean to read and never do. In the meantime, the books look very impressive on their bookshelves. My own to-read list is very impressive.. but I'm actually reading Bringing Up Bebe at the moment (and hating myself for it, thank you very much). This is all related to the time between choice and delivery. Netflix acquired much press for its movie suggestion algorithm, but in the end, never ended up using it. Why? Because picking DVDs to watch in the future doesn't apply at all when we decide what we are going to watch immediately through streaming. This is all related to the larger issues of how news agencies are to bring us "broccoli news' - news that we probably should read (like the details of a bank bailout from 5 years ago) but we won't because they know from click-through stats that we are reading what gifted toddlers eat for breakfast instead. 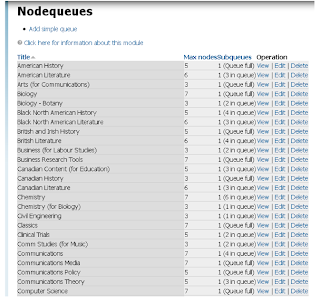 This is all related to the 'read later' aspects of Readability and Instapaaper. This is all related to the floating "buy now" button that is encased with every Kindle. This is all related to why Amazon sells "single-serving" books. So how do we share the things that really matter? What's a This is my Jams for articles? Or videos? Or books? I think the answer is a performance, not a technology. I'm going to do an exercise. I'm going to pick one item each workday. I'll give myself some time. I'm going to give myself a constraint. If I follow through with this, I'll make it public. Until then, this 40 minute performance piece is my spam.